For centuries dogs and humans have developed close relationships, that in many cases, have solidified each other as family. The close bond between humans and domesticated dogs can be traced back to some of New Mexico's earliest settlers. But what interests anthropologists at The University of New Mexico is whether or not these dog were in fact what we consider dogs. In a recent journal article, UNM Anthropology Department researchers Victoria Monagle, Cyler Conrad, and Emily Lena Jones, set out to answer the question, "What Makes a Dog?" The group started their investigation with canid—coyote and wolf as well as domestic dog—remains from Arroyo Hondo Pueblo, a 14th century site in the upper Rio Grande Valley in New Mexico. "Distinguishing between domestic dogs and wild canids from bone fragments alone is a perennial challenge for zooarchaeologists," wrote Jones. "The canid remains we recover from archaeological sites could often be either, based on their morphology." With such similar bone structures, archaeologists have turned to ancient DNA to determine if a canid is domestic or not. The use of ancient DNA in combination with traditional zooarchaeology has vastly increased the understanding of the relationship between humans and both domestic dogs and wild canids. "At the same time, however, the genetics don't tell us the whole story of human-animal relationships," says Jones. "We don't know, based on an individual canid's genetic makeup, how that animal interacted with humans. If past people treated wild canids in ways similar to how people today treat domestic dogs, this is an important insight as to how they viewed those 'wild' animals." "We hope this research will start conversations about differences in human-canid relationships in the Southwest today," added Monagle. 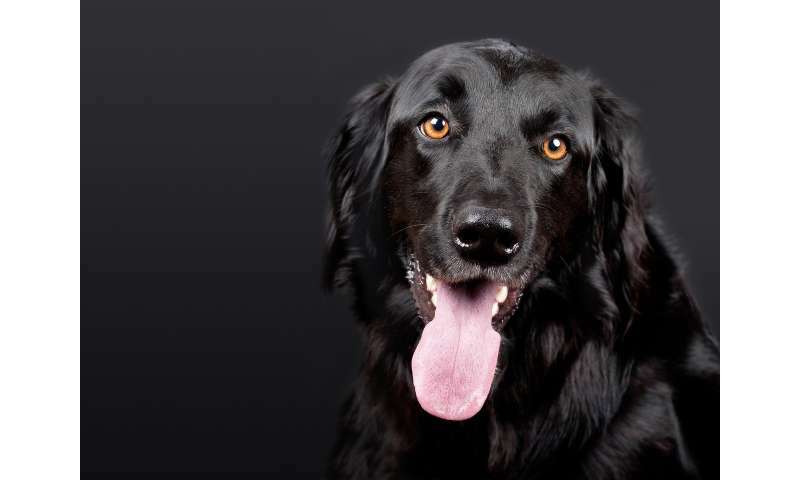 "Many people, the public and researchers alike, are interested in why humans and dogs have, and have had, such a special connection throughout history. We asked ourselves what makes a dog different? And, what is a dog, in the most basic sense?" Arroyo Hondo Pueblo is an archaeological site located 5 miles southeast of Santa Fe. The site dates between 1300 and 1420 A.D. The diets of the pueblo people consisted of beans, squash, wild plants and meat such deer, rabbit and turkey. In fact, many domesticated turkeys roamed the property which may be why the excavations didn't find many canid bone specimens. "The incompleteness of these specimens and their relatively low number led the original analysts to suggest domestic dogs were rare at the Pueblo, perhaps due to the risk these animals might pose to turkeys," cited the researchers. To understand if the pueblo people of New Mexico befriended dogs or wolves or coyotes, the researchers conducted isotopic analysis of specimens recovered from different areas of the Pueblo. "We analyzed bone isotopes from the canids as a way to understand what these animals were eating, and therefore, whether people were feeding them or not," said Jones. "We compared this data to information on the areas from which these canids were recovered." The area of recovery was important in the study. Many of the bones were found in kivas, or placed in indoor spaces suggesting the animal was valued by the pueblo people. Some of the bones were found in an exterior location suggesting the animal was most likely wild. "Our results show that the designation of 'dog' via ancient DNA did not, at Arroyo Hondo, always correspond with the preferential treatment that we expected for a domestic animal," said Jones. "Similarly, in at least one case an animal identified as a coyote by its ancient DNA seems to have been fed by humans and was buried in a way suggestive of a domestic animal." Ultimately, the findings of the study suggest that Arroyo Hondoans may have defined "dog" differently than present-day domestication researchers do. The pueblo people befriended both domestic and wild canids as their best friends. Peoples in South America domesticated at least three kinds of wild fox prior to the arrival of the Europeans. In Tierra de Fuego the domesticated foxes were trained to herd fish into nets. Missionaries were appalled when the local people preferred to eat a family member rather than the foxes during a famine. They said, "When the fish return the foxes can help us eat, what can the old woman do?" Whoever is writing these titles, please stop stealing money. Its wrong.